Conditions that involve muscle weakness – such as osteoporosis, osteoarthritis, Parkinson’s disease and Multiple Sclerosis – result in people being less physically active. This leads to an increased risk of falling. The deconditioning of the musculoskeletal system is linked to falls, general functional decline, increased frailty and immobility. All of these can lead to an increased risk of bone fracture and reduced quality of life. Exercise, such as walking and running are known to help maintain good bone and muscle health. However these strategies may not be possible for frail, disabled, elderly or infirm populations. Low intensity vibration (LIV), with accelerations against gravity of less than 1g (g=acceleration of 9.81m/s2) are a safe and effective approach to this problem. As we age the faster fast twitch type IIa muscle fibers (10-50Hz) decline proportionately. This can lead to greater musculoskeletal instability and an overall poorer quality structure. Marodyne LiV acts as a replacement for the lost muscle fibres and replicates the small high frequency forces to assist with musculoskeletal health. Falls are rarely attributable to one single cause; in most cases several factors interact. Falls prevention programmes seek to address the main contributing factors that lead to a fall, with the aim being not to fall in the first place. Marodyne LiV can help build muscle strength, stability and balance to boost mobility. Co-ordination and postural stability play an important role in falls prevention among the elderly. 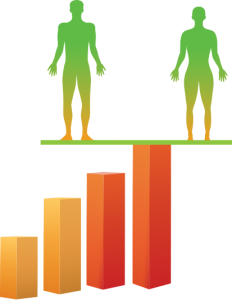 Undertaking balance and equilibrium training every day can help avoid a fall and prevent injury and fractures. This is where Marodyne LiV comes into its own as it helps to build strength in the lower leg muscles, improve coordination and balance to help people be steadier on their feet. 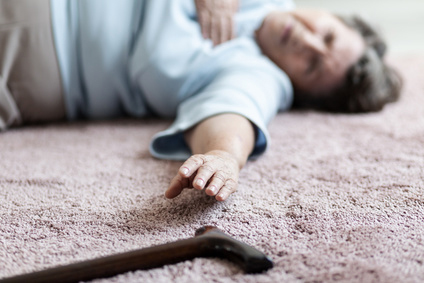 Falls are dangerous for anyone but particularly for the elderly and people who have osteoporosis: for them a fall will cause one or more fractures. Elderly people fall more frequently, the number of falls increases with age and women fall more often than men. Older people tend to fall to the side, which can lead to the dreaded hip fracture that can lead to them being bed-ridden, hospitalisation or premature death. Most fractures in older people are the result of a fall, therefore it is crucial to do falls prevention exercises to limit the likelihood of this happening. The Marodyne LiV treatment system is the ideal starting point for a good flexibility, coordination, strength and speed of reaction. Since the treatment platform has a sprung structure and yields by the millimetre, balance is trained as a result of weight displacement during treatment. The calf muscles work hard with Marodyne LiV treatment, which is key as these muscles are important for steady posture and a stable gait. The strength to stand and walk is provided in the calf muscles, which also influence the body’s ability to react quickly, a key feature in falls prevention. Quick reactions decline with old age so anything that can be done to restore quick reflexes will help. In the event of a potential fall or threatened imbalance, the body reacts with a coordinated reflex resulting from the interaction of the brain and muscles. This reflex is involuntary – you can’t think about it or control it, it just happens as the brain sends message quickly to the muscles. But if reactions are slow or the muscles are weak, the reflex won’t be successful in preventing a fall. Marodyne LiV helps sharpen reflexes and strengthen the leg muscles, thus supporting falls prevention.